This month, Rachel Doran should be completing a summer internship in New York. She should be looking forward to her senior year at Cornell University, as a fashion design major with a minor in business. Instead, the 2015 Staples High School graduate — a National Merit Commended Scholar, talented Players costume designer, and founder of “Rachel’s Rags,” a company that makes intricate cotton and fleece pajama tops and bottoms — is in critical condition at Columbia Presbyterian Hospital’s Center for Acute Respiratory Failure and ECMO Program. Last month Rachel was diagnosed with Stevens Johnson Syndrome and Toxic Epidermal Necrolysis, a rare reaction to common medications that resulted in severe burns to 95% of her body. She was treated at Bridgeport Hospital’s Connecticut Burn Center for 2 weeks, before being transferred to New York for the treatment of Adult Respiratory Distress Syndrome — another rare and life-threatening syndrome. She is in the ICU, on a special lung protocol called ECMO and dialysis. Her skin is slowly beginning to heal. But Rachel has a collapsed lung and renal failure. She is being kept as comfortable as possible, and is supported by a superb hospital staff. Rachel’s family has been by her side for 3 weeks — and faces a long road. She could be at Columbia Presbyterian for months. Her parents are staying in a New York hotel, while their extended family tries to maintain a sense of normalcy for Rachel’s sister Ellie in Westport. Between hospital bills, the hotel and loss of wages, the financial ramifications will be vast. Friends created a GoFundMe page to lighten the load. 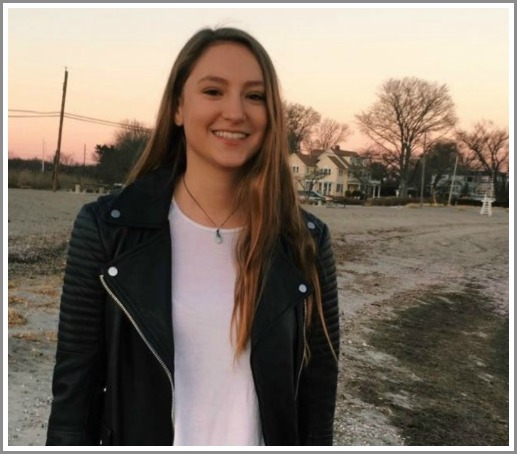 Everyone who knows Rachel calls her “amazing.” Now is the time for Westport to offer her and her family some amazing help. Click here to contribute to the Dorans’ GoFundMe page. This entry was posted in Local business, People, Staples HS and tagged Columbia Presbyterian Hospital, ECMO, Go Fund Me, Rachel Doran, Rachel's Rags, Stevens Johnson Syndrome. Bookmark the permalink. Thank you Dan for always alerting us to things we would never know about.. I just donated to the Go Fund me page as I sit here stunned and with a pit in my stomach. I worked with Rachel and Ellie for years at GFS and have seen the episode of Rachel’s Rags on Shark tank many times never recognizing her. I’m sure another way to help her would be to shop on her site. The clothes are adorable. I have a few baby gifts I need to send. All my prayers and thoughts are with Rachel and her family.